Do you want to transfer the music on your friend’s iPod to your iPhone? Or would you like to share the videos on your iPad with your friend? 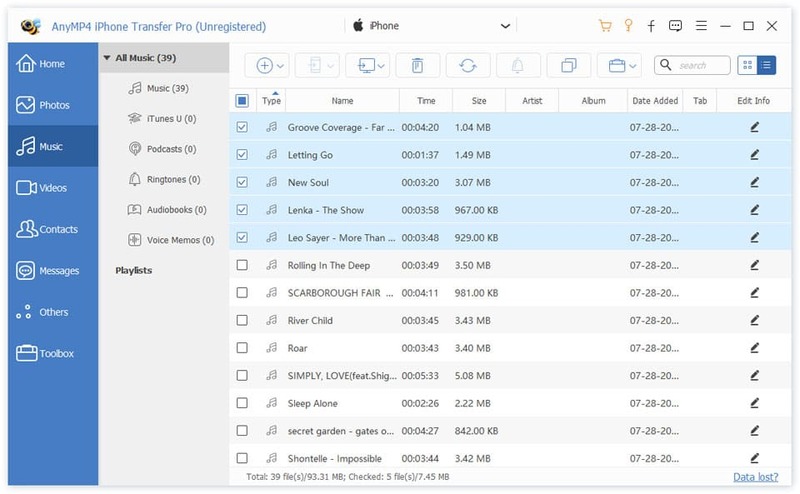 AnyMP4 iPhone Transfer Pro supports the transfer of videos, songs, photos, eBooks, contacts, playlists, and albums between two iOS devices, such as iPhone, iPad, iPod. Do you want to transfer the music on your friend’s iPod to your iPhone? Or would you like to share the videos on your iPad with your friend? AnyMP4 iPhone Transfer Pro supports the transfer of videos, songs, photos, eBooks, contacts.